UNITED NATIONS, November 1 -- When UN Under Secretary General Sha Zukang handed a “World Harmony Foundation” award to former Chinese military leader during Tiananmen Square Chi Haotian, for many the UN had hit a new low. Perhaps for that reason, or in retaliation for USG Sha's drunken insults to UN Secretary General Ban Ki-moon, when Inner City Press asked Ban's spokesman Martin Nesirky on November 1 if Sha gave the award in his personal or official capacity, Nesirky replied that when the reports of the event "surfaced late last week online, that was the first we had heard about it... no further comment for now." Video here, from Minute 13:01. “Is Sha on leave?” Inner City Press asked. Nesirky said he didn't think Sha is on leave. Of course not - Sha is quoted alongside Ban Ki-moon at the closing of the Shanghai Expo on October 31. But the UN also knows more about the World Harmony Foundation than it is letting on. 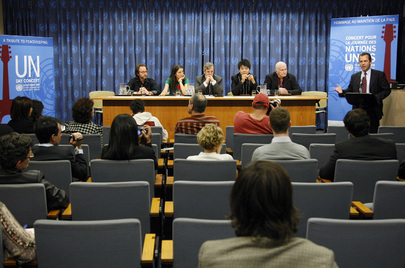 As Inner City Press exclusively reported a year ago in October 2009, the UN took $110,000 from the WHF and its chief Frank Liu for a UN Day Peacekeeping concert in connection with which Lui told Inner City Press he was supposed to get a photo with Ban Ki-moon. When Inner City Press questioned the “pay to play” aspect of the funding and photo-op, the Ban face time was canceled, and instead Liu and associates were given photos with Under Secretary General Ibrahim Gambari. It was never confirmed if this was in Gambari's personal or official capacity, but it seems clear that the Executive Office of the Secretary General knew about it. 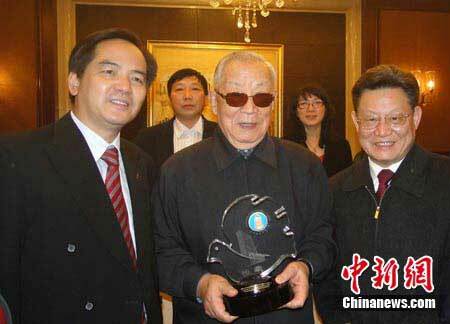 So questions exist as to what the UN knew, and when, about Sha's role in handing Liu's WHF prize to Chi Haotian. Watch this site.